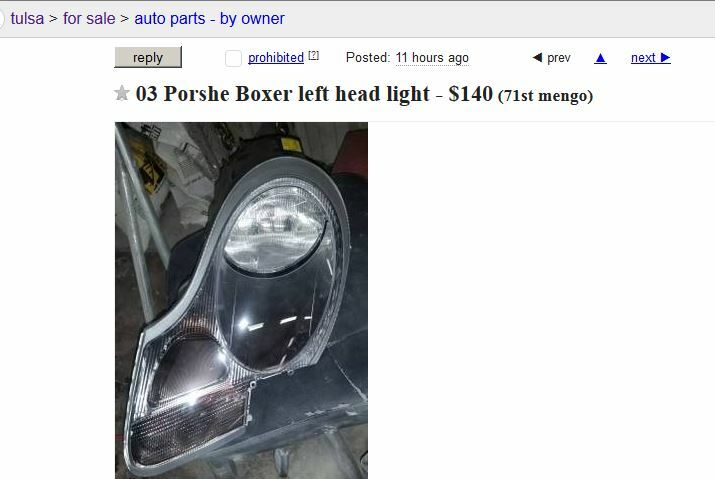 986 Forum - for Porsche Boxster & Cayman Owners - View Single Post - What did you find on CL today? Thread: What did you find on CL today? I just thought I'd start the thread and see where it goes. I'm intending for it to stay Porsche related, but I'm nobody's boss. It also may do best to clip a screenshot rather than post a link, due to the transient nature of the posts. This is an awesome thread! 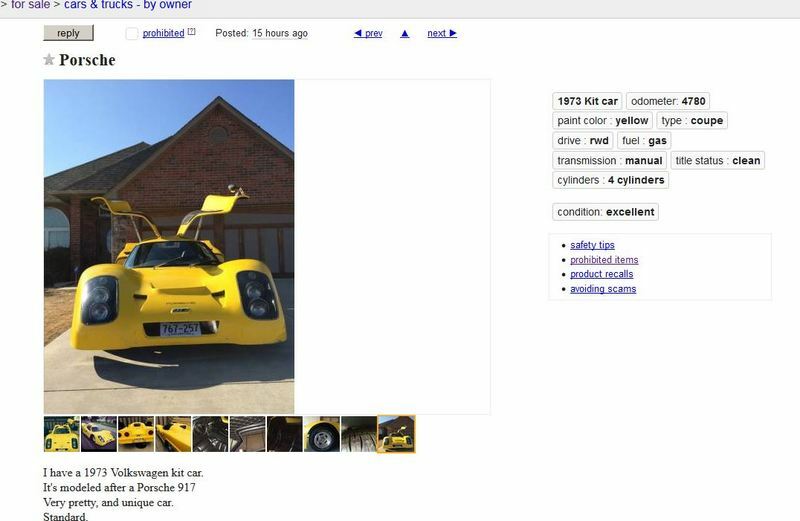 That kit car is hilariously painful to look at.